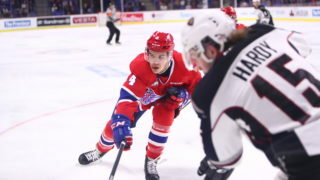 Spokane Chiefs forward Kailer Yamamoto has been invited to Team USA’s pre-tournament selection camp in preparation for the 2018 IIHF World Junior Championship, as announced by USA Hockey on Tuesday afternoon. The camp will take place from Dec. 15-19, ahead of the international tournament to be held in Buffalo, N.Y. from Dec. 28 through Jan. 5. Yamamoto, who was selected in the first round (22nd overall) by the Edmonton Oilers in the 2017 NHL Entry Draft, has scored 9 points (1 goal, 8 assists) in 10 games with the Chiefs since being reassigned by the Oilers on Nov. 6. The dynamic winger played nine games with Edmonton to begin the NHL regular season, recording 3 assists, 21 shots on goal and 2 penalty minutes. 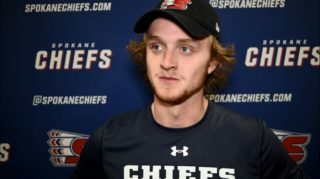 Last season, on his way to WHL Western Conference Second Team and Chiefs’ team Player of the Year honors, he scored 42 goals. 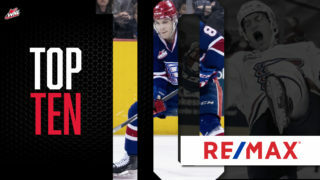 His 99 points were the most by any draft-eligible player in the entire Canadian Hockey League. Yamamoto has competed for Team USA multiple times before, most recently at the 2017 World Junior Summer Showcase, during which he tallied 3 goals and 3 assists. He tied for the tournament lead in goals at the 2016 IIHF U18 Men’s World Championship, scoring seven and adding 6 assits as Team USA earned bronze. He also led all scorers with 7 points (4 goals, 3 assists) at the 2015 Ivan Hlinka Memorial Tournament. 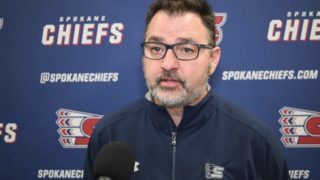 The Chiefs hit the road on Friday, December 8 to take on the Everett Silvertips at 7:35 p.m. 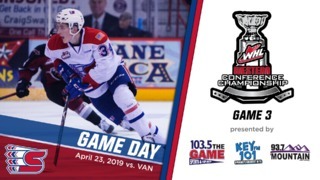 Tune in for the pre-game show on 1510 KGA NW Sports Talk at 7 p.m.
Spokane returns home for the annual Teddy Bear Toss presented by The Spokesman-Review Christmas Fund on Saturday, Dec. 9 versus the Seattle Thunderbirds. Fans are encouraged to bring a new or gently used stuffed animal to throw onto the ice after the Chiefs score their first goal. Donated toys will be collected and distributed to local families in need. 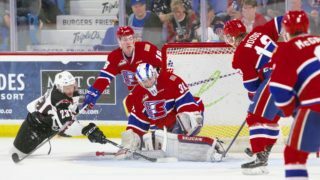 Tickets for Saturday night and all Chiefs home games are available in-person at the Chiefs’ Ticket Office, over the phone at 509-535-PUCK and online at spokanechiefs.com.